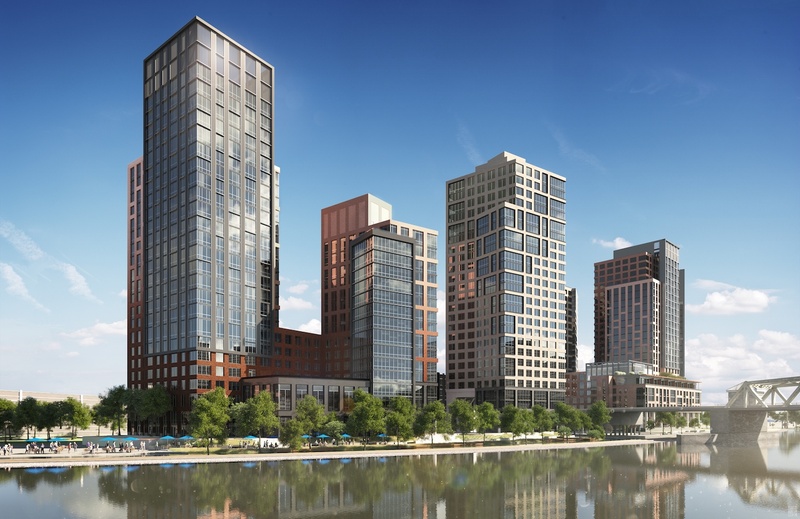 Just two days ago, 6sqft brought you a brand new rendering of the second parcel at Somerset Partners and Chetrit Group’s massive South Bronx waterfront development, and now, YIMBY has uncovered even more views of the full seven-tower, 1,300-unit residential project, along with some more specific details. The renderings come courtesy of Hill West Architects and also show the publicly accessible 25,500-square-foot public waterfront esplanade. The second site at 101 Lincoln Avenue will take up the full block south of the Bridge and contain three stand-alone, 24-story towers and a 22-story tower atop a six- and seven-story podium. This complex will offer 849 rentals (ranging from studios to three-bedrooms and including a handful of two- and three-bedroom duplexes), 20,500 square feet of retail space, and a 1,100-square-foot community facility space. Amenities here will be the same, but also include a ground-floor cafe, library/wine room, and a screening room. The two sites will be connected by a shared courtyard that will provide access to a 423-spot, multi-level parking garage. Chetrit Group and Somerset Partners, the latter led by Keith Rubenstein who caught slack when he tried to rebrand this area of the South Bronx the “Piano District,” bought the two parcels for a combined $58 million in 2015. Both parcels make up a site that’s 60,902 square feet total. While construction has started on the first phase, Department of Building permits have yet to be approved for the next three buildings at 101 Lincoln Avenue. 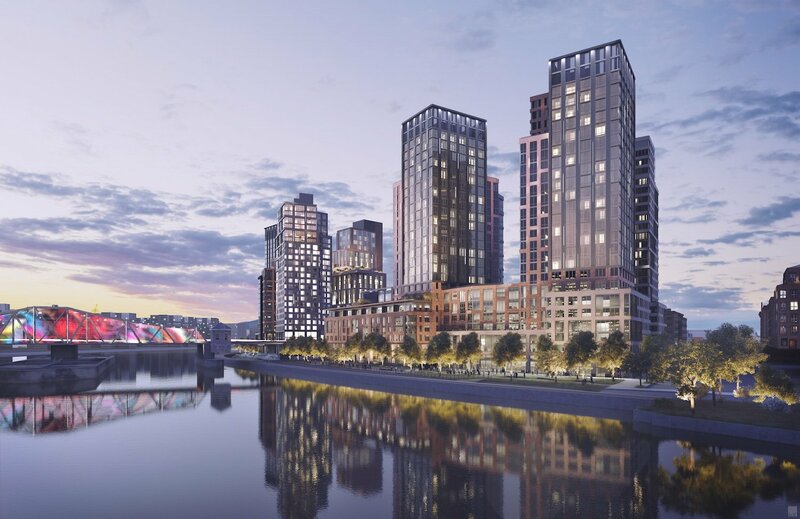 The entire development site is a part of the Special Harlem River Waterfront District, which is expected to yield up to 5,000 units across the district and buildings as tall as 40 stories. They’ve so far secured financing for the first phase, set for completion in June 2019, but not the second, which is still tentatively planned for December 2019.